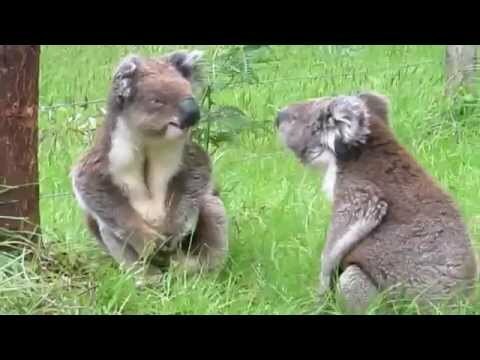 Here's something you don't see everyday, two Koalas bickering like little toddlers! It's very funny to watch these two little furry animals argue. I wonder what they're fighting about? I guess we'll never know but at least we can find humor in their disagreement. Be sure to click the link below to watch how these two little Koalas settle their differences. Enjoy!